The word is, there’s a new It Handbag for 2008. And that Handbag would cost $1.400. And that Handbag would come from Puma and be available from January 2008 worldwide (some sources even say March 2008 but I play optimistic). 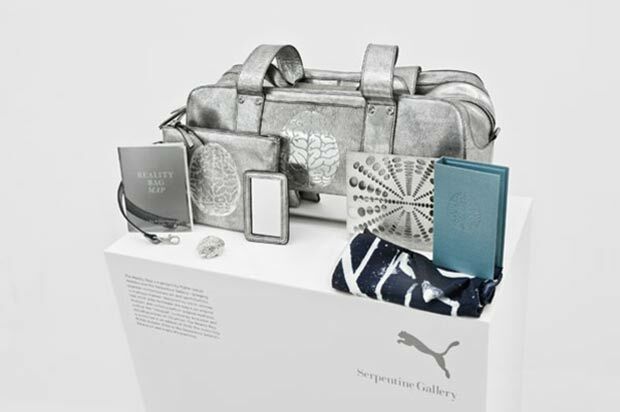 In collaboration with London’s Serpentine Gallery, Puma created The Reality Bag not only to become the next fashion it but also with a higher purpose – each bag sold would raise $100 for the Serpentine Gallery’s Education and Public Programs. 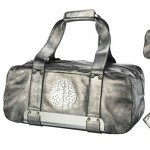 The Reality Bag is made of clever innovative materials using a breakthrough design reflecting the world inside and. Creating the Reality Bag represented the work of multiple artists (John Armleder, John Trembley, Philippe Decreuzat) so the final result is quite original and most of all, unique! 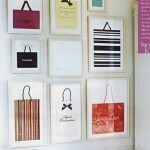 1000 bags were created and for each of them, a piece of art was commissioned by John Armleder to 173 different artists. The pieces of art would be inside the bag, thus transforming the bag into a ‘vessel’ combining art and functionality into a single, everyday item. 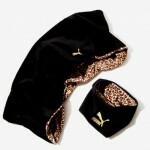 As the bag would receive numerous mentions in the press, its promotional success is certified, thus turning Puma’s foray into the haute luxury accessories an unmissable it fashion move. Ryan McGinley was also commissioned to participate as the official photographer of the artistic initiative that we commonly designate as ‘advertising campaign’ – notice that Irina Lazareanu, one of the most sought-after models, is representing for Puma’s Reality Bag. Irina herself a highly praised and iconic figure on and off the catwalk. Fashion isn’t just serving its initial aesthetic purpose but doubles as moral, social and artistic gesture serving a multitude of parties and pleasing so much more than the eye. 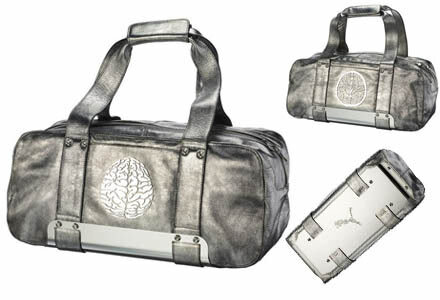 What do you think about Puma Reality Bag? Don’t forget to leave your vote! What do you think about Puma Reality Bag ?